Today we’re having lunch in the surfing haven of Muizenberg along the Cape’s fabulous peninsular. It’s a sleepy, understated town with a huge, beautiful beach and sea with loads of waves to catch. 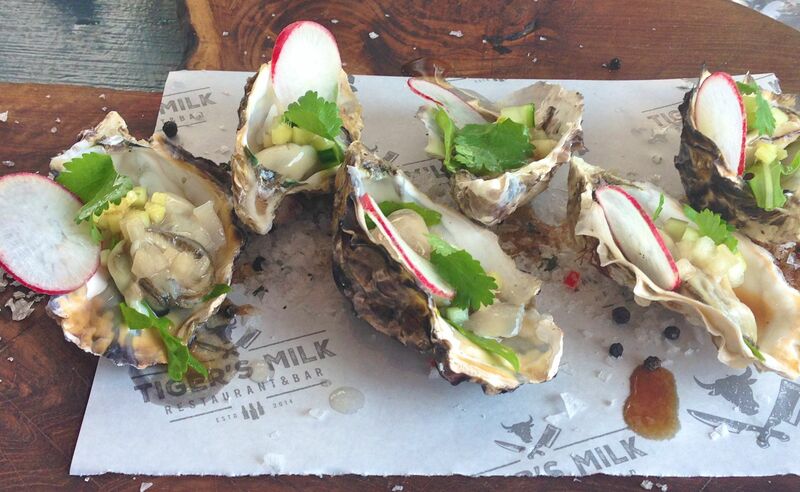 Tiger’s Milk is a trendy, much-needed addition to Muizenberg’s restaurant scene. It’s a lovely spot, huge and flooded with light with quirky decor and a simple menu that includes hearty staples like ribs, burgers and steaks, plus a selection of lighter starters. This is one of the best oyster dishes I’ve had in a very long time, amazingly fresh and served with pear, ginger, cucumber and Asian dipping sauce. 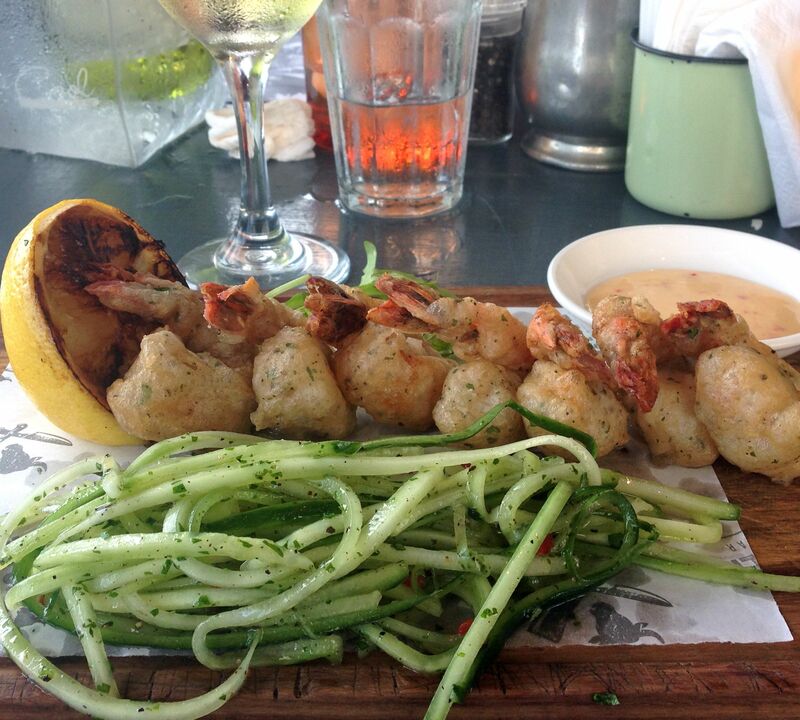 Tempura prawns came with spaghetti cucumber (which looks very pretty) and sweet chilli aioli. 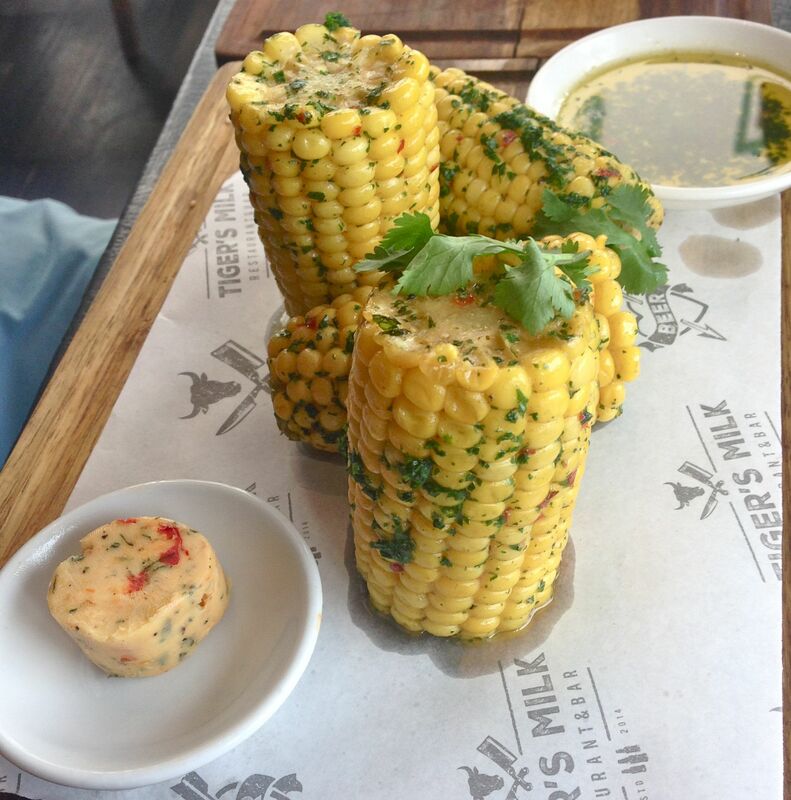 A totally simple starter, buttered corn on the cob served with smoked chilli butter and coriander. Wonderfully sweet and juicy. 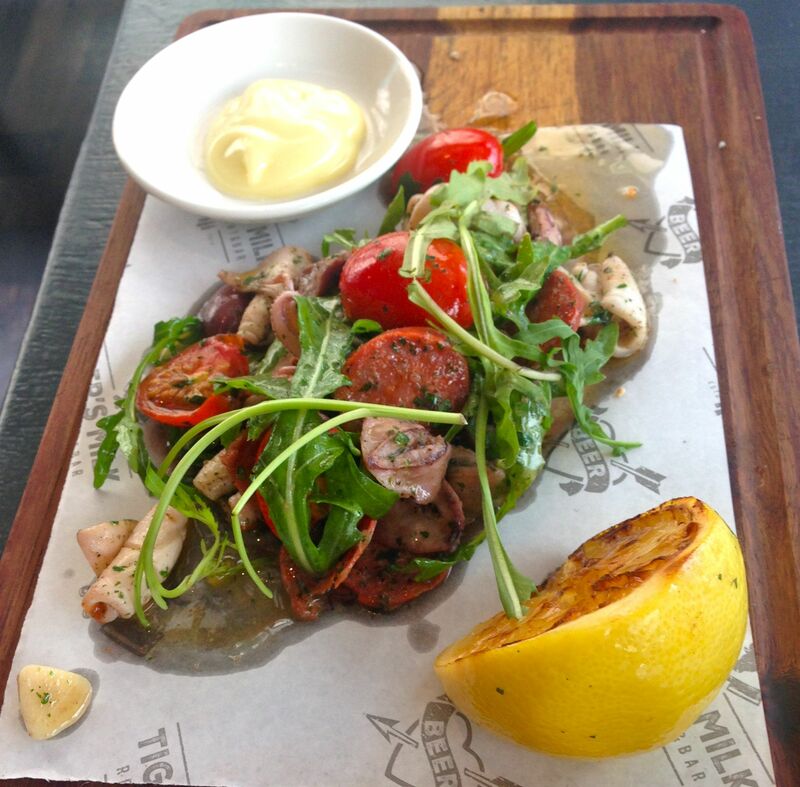 The calamari was served grilled with rocket, olives, chorizo, chipotle and aioli and had a real chilli bite. 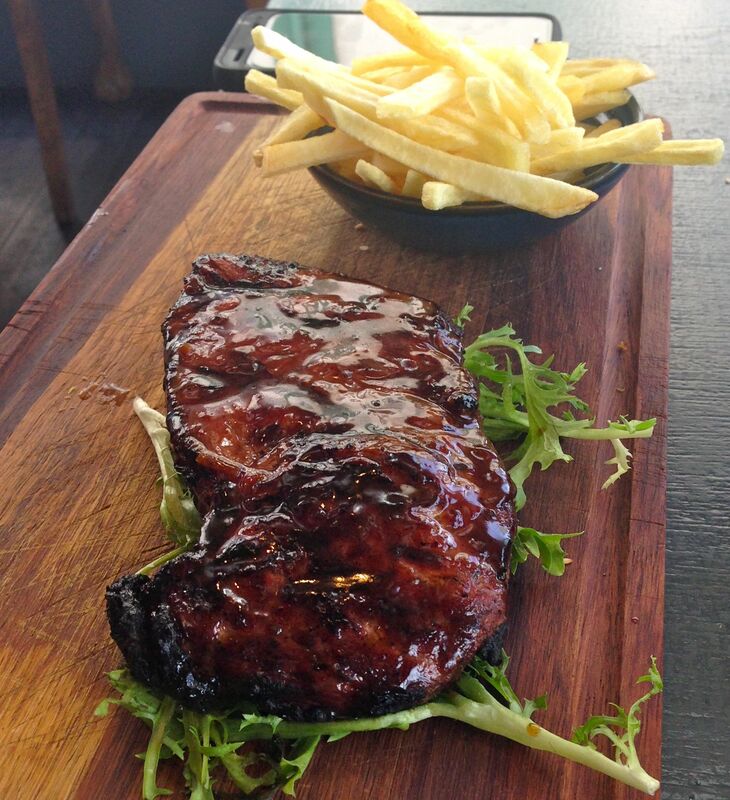 Tiger’s Milk prides itself on serving good steaks, so they had to be tasted. Unfortunately they were out of ribeye which was the table’s first choice, so we went for sirloin instead. 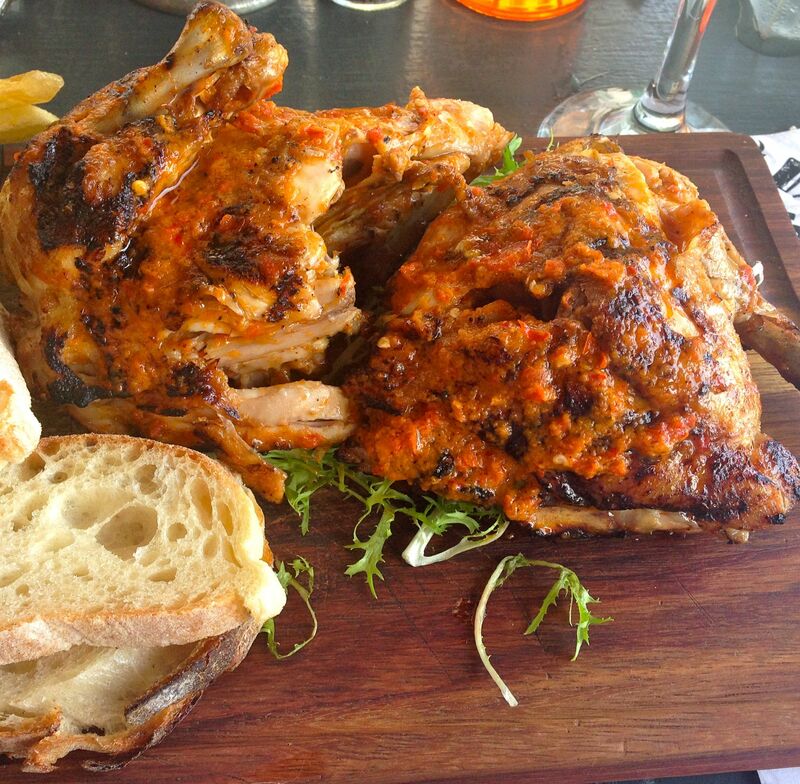 I went for half a peri peri chicken – substantial and spicy – and the perfect excuse to use your fingers and savour the flavour. 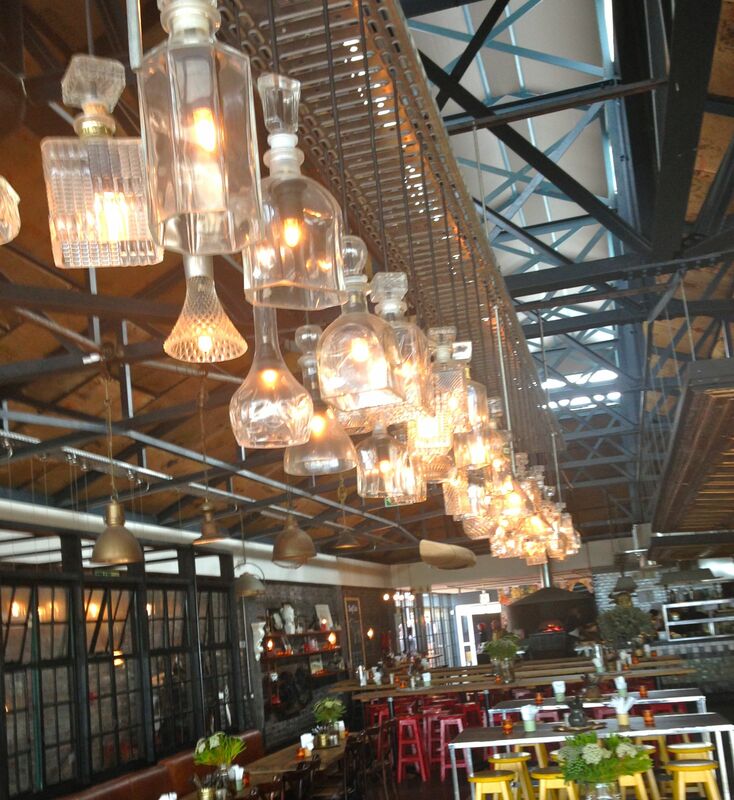 I loved the stylish, contemporary interior, and these lights using decanters were a very clever touch. 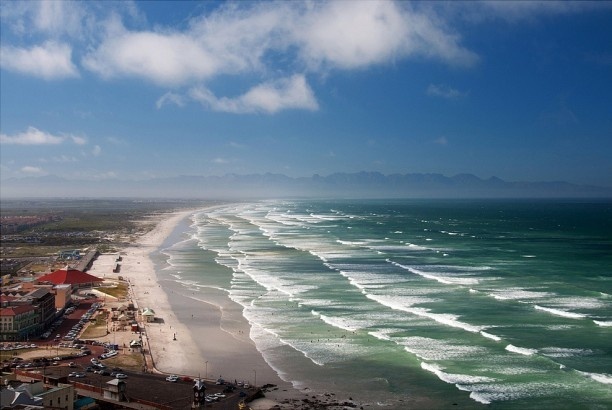 And here’s a view of beautiful Muizenberg beach from on high. 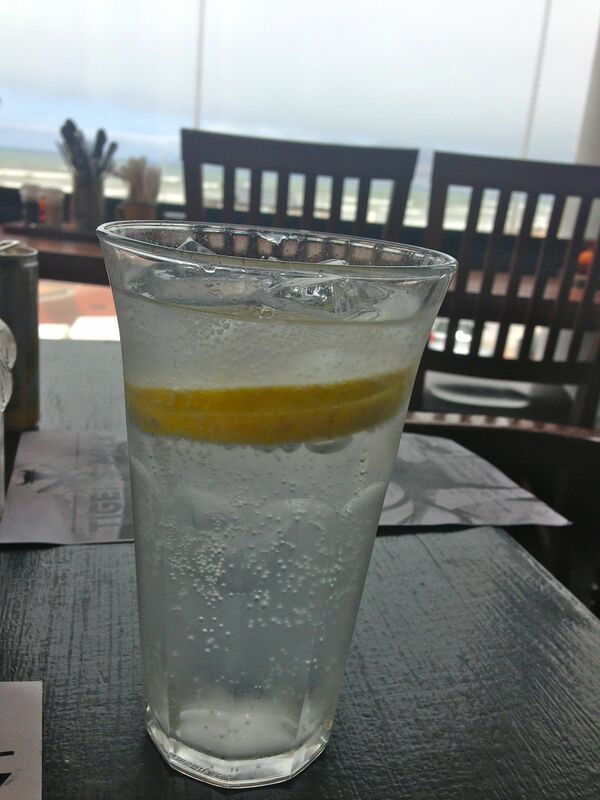 Tiger’s Milk is on the corner of Beach and Sidmouth Roads in Muizenberg.